Ashton Gate is home to Bristol City Football Club and has recently completed a £45m rebuild of the site, including the redeveloped of the Dolman Stand and brand new East Stand which was completed in time for the start of the 2015/2016 season. Powervamp became involved with project when they won the contract to supply Bristol City Football Club with two of their Effekta emergency lighting central battery systems. The systems supplied were the EF33, both of which were three phase units consisting of 20kva and 40kva respectively. The systems were manufactured for the new East stand and the extended Doilman stand. The 40kVA unit is designed to support the emergency lighting for the stand, bar and club shop areas in the event of a mains power failure. The 20kVA unit in the Dolman stand will provide emergency lighting backup power for the bar and corporate hospitality areas. 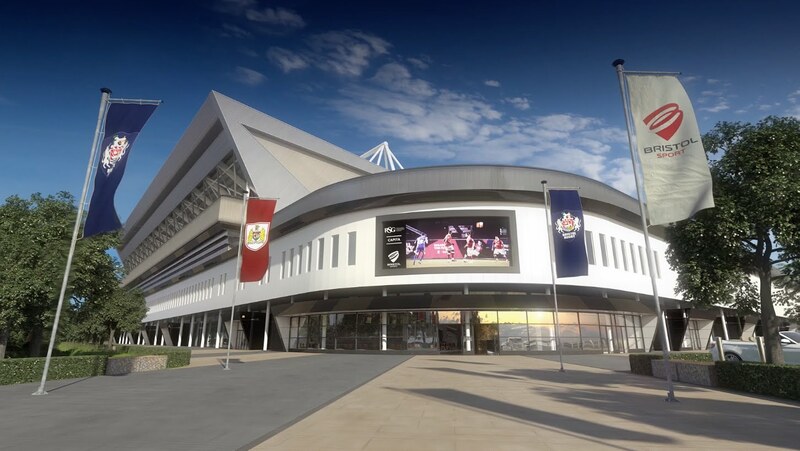 Bristol City now has a stadium that would befit any football club in a higher league and is also home to Bristol Rugby Club – both of which are part of the Bristol Sports Group. Powervamp was originally shortlisted by the building consultant during the design of the stadium due to their extensive engineering and manufacturing expertise and experience of supplying football and other sporting stadia with their Effekta emergency lighting central battery systems. Despite facing stiff competition to supply the central battery systems, Powervamp again proved to be the only manufacturer able to provide a suitable solution to meet with the regulations involving such a project. Ultimately, it was the in house design and engineering capabilities that proved to be a successful factor in winning the tender. In addition to designing and building the central battery systems, Powervamp were pro-active in engaging with the M&E Contractor to provide a solution that also included internal load distribution boards, battery building and commissioning. Powervamp were also able to provide a full technical service and support during the course of the project, with various site visits provided by their service team. The on- site battery build was carried out with the co-operation of the M&E Contractor and was within the time schedule that had been planned, which enabled the project to be handed over on time. The Bristol City FC project has added to Powervamp’s growing portfolio of stadium installations including Liverpool FC, Reading FC and Wolverhampton Wanderers FC.